After making a half-cooked meal, I put on the highlights of the 2017 Champions Trophy final to help distract myself and get through with dinner that seemed eatable at best. “One minute down! The next minute up!” exclaimed Nasir Hussain on commentary as I swallowed another bite. I paused and played the moment when Virat Kohli was trumped, again. That particular instance in the match was electrifying, and in the centre of this synergy of the Pakistan cricket team was an 19-year-old Shadab Khan. He had managed to catch a ball that was harder than the catch attempt made by his senior Azhar Ali, who sadly dropped the ball. 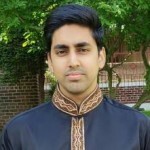 Who is Shadab? That would have been the question had I mentioned his name a year ago. Today, the name “Shadab” rings many bells in our minds. Are you talking of Shadab the batsman who comes to our rescue after the top order collapses, the leg spinner who gets us crucial wickets, or maybe the quick-on-his-feet fielder who saves us runs in the field? Shadab’s skill on the field deserves much appreciation. He is a rare specimen in our part of the world. Pakistanis love to bat or bowl but rarely would you see youngsters enjoying themselves while fielding. It is exhilarating to see Shadab’s athleticism in the field, and it is evident that he has the Pakistani cricket gene in him – something to be proud of. Moreover, one would think that a teenager like him would have his heart in his throat as he stepped out onto the field. However, you are utterly surprised as he casually walks up and takes his guard at one of the toughest positions in the 30-yard circle, with sheer confidence. It’s the exact place where he caught the catch of the masterpiece called Kohli. This position belongs to him and he undeniably owns it. The story of Shadab doesn’t end with bowling. On a pitch where our top order seems to struggle, Shadab comes and bats on it without a hint of trouble. He can defend, pick singles and even pull out the big shots, when necessary. Whoever called him a handy lower order batsman was clearly understating it. Within a glimpse of time, Shadab seems to have become the nucleus of the team. While it is true that there are other young promising players in our current squad, but this man takes the cake when it comes to showing absolute potential. He is indeed a complete package with a bright future ahead of him. The recently concluded T20I series against New Zealand is a testament to the importance of having Shadab in the lineup. Specifically, in the last T20 when Martin Guptill was ready to launch one heck of a counter attack on Pakistan, but Shadab stepped in and teased the man in form with wide, outside off-deliveries that came very close to the wide line but yet stayed inside it. Pakistan won by 18 runs in the final T20I and although the whole team played their heart out, Shadab had sucked the momentum out of the New Zealand innings in the ninth and 13th over. He had bowled giving away just one and three runs respectively, along with two wickets. Those two overs had sealed Pakistan’s well-deserved number one spot in the ICC T20I rankings. 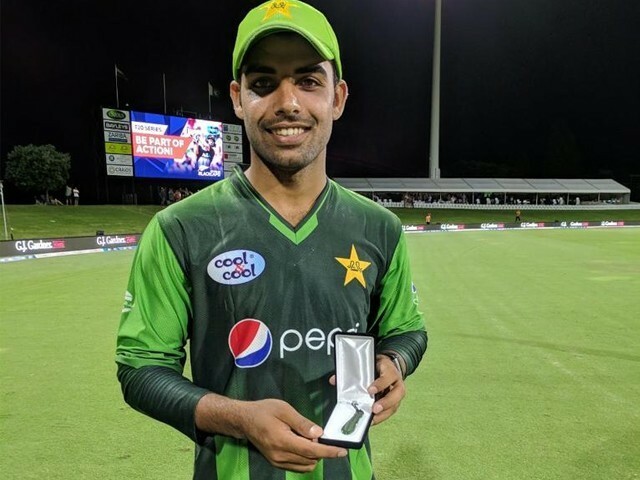 As Shadab walked off with an ever-glowing smile on his face and the Man of the Match award in his hand after the third T20I against New Zealand, I couldn’t help but pray that the devils of cricket keep their distance from this young man. He is destined for success and I wish him all the best for his future and his career! shadab with his ideal player austrailian captain steve smith (who could not hold bat when first arrived on scence .. see 2010 Pak vs Aus test series in england now top batsman) bats like him as well but bowls way way way better so i think he is for sure our future captain, he is calm customer and a fantastic no 4 or 5 batsman.